Inspired by Savannah: Disney Junior Live On Tour! Pirate & Princess Adventure -- Stopping at the XL Center in Hartford, CT on November 22, 4PM and 7PM -- #Win Tickets Now!!! Disney Junior Live On Tour! Pirate & Princess Adventure -- Stopping at the XL Center in Hartford, CT on November 22, 4PM and 7PM -- #Win Tickets Now!!! Disney Junior Live On Tour! Pirate & Princess Adventure is coming to the XL Center on November 22, with two showtimes, 4PM and 7PM. 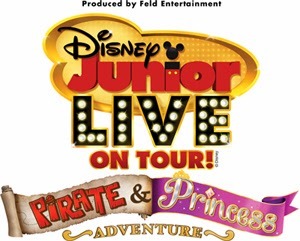 "Grab your tiaras and doubloons and join us for Disney Junior Live On Tour! Pirate & Princess Adventure. Mickey and Minnie are taking their seats too at this never-before-seen live show featuring your favorite characters from Disney Junior's hit series, Sofia the First and Jake and the Never Land Pirates. Get swept up in the excitement as Sofia and her family prepare for a royal celebration that helps us all learn the true meaning of being a princess with a special appearance from Cinderella. Then it's off to Never Land where Jake and his swashbuckling friends Izzy and Cubby, with a little help from Peter Pan, battle Captain Hook to unlock treasure hidden inside a mysterious volcano. It's danger and dueling on the high seas as Jake discovers what it takes to be a true hero. Filled with new music, amazing effects, thrilling action and endless surprises, your whole family will sing, shout, and soar into the action when Disney Junior Live On Tour! Pirate & Princess Adventure sails into your hometown." 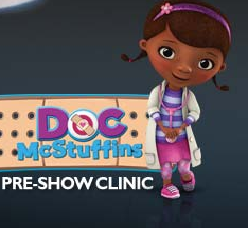 To learn more about this show and other family-friendly events coming to the XL Center, click here now -- http://www.xlcenter.com/events/detail/disney-junior-live-on-tour-pirate-and-princess-adventure. Tickets are selling out quick to both the 4PM and 7PM shows, so you will not want to delay in purchases your tickets. Ticket prices are $98, $63 & $38, can be purchased online through the XL Center website, www.XLCenter.com. Note: Doors Open 1 Hour Before Show. Thanks to the promoter, Feld Entertainment, one lucky reader will win a family four pack of tickets to the 7PM show on Nov. 22nd, at the XL Center in Hartford, CT. This is one live show not to be missed!